You have been a leader of the Indian national Congress, theoretically committed to democratic-secular India, for more than four decades, and also occupied the office of the President of India, the highest constitutional office of the country. Sir, yesterday (June 7, 2018) while addressing a select gathering of RSS cadres at its headquarters, Resham Bagh, Nagpur, which included its top brass, Mohan Bhagwat, you remembered the founder of RSS, KB Hedgewar and wrote the following words in the visitor’s book in his praise, “Today I came here to pay my respect and homage to a great son of Mother India”. His Highness, there could not be a more blatant lie than this as ‘great son of mother India’ founded RSS in 1925 to oppose the united freedom struggle for an inclusive India. He did not join the freedom struggle because it was being fought for an all-inclusive India and not a Hindu State. He declared minorities, specially Muslims the enemy of India and not the British rulers. He was a diehard Casteist. He was inimical towards the Tricolour which had become a National Flag for resistance to the British 1930 onward. His Hindutva icon VD Savarkar led Hindu Mahasabha ran coalition governments with the Muslim League in 1942 in Bengal, Sind and NWFP when Congress was banned, the country had become a jail and hundreds of patriotic Indians were being ruthlessly massacred for daring to carry the Tricolour or unfurl it at house tops. 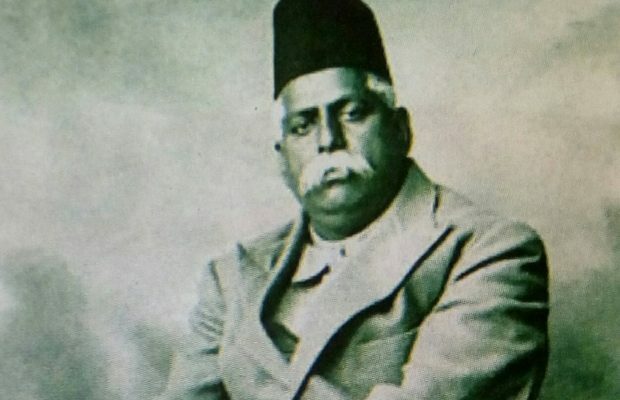 Hedgewar believed in Hindu nationalism as opposed to Indian nationalism. Sir, your character certificate to Hedgewar as ‘great son of mother India’ is not only insult of the great anti-colonial freedom struggle but also belittling of the great sacrifices of Bhagat Singh, Ashfaqullah Khan, Chander Shekhar Azad, Jatin Das, Potti Sreeramulu and thousands other revolutionaries who died for the freedom of India. It was a sad day for the Indian Republic that Hedgewar was idolized by a person who enjoyed all the fruits of the Indian constitutional polity and was part of Congress which led the freedom struggle. Sir, I am reproducing facts from the RSS archives which conclusively prove that you committed an act of sacrilege towards India’s glorious freedom struggle by declaring Hedgewar as a ‘great son of mother India’. You, kindly, check the truthfulness of these RSS documents. If I am proved wrong, please, take any action you feel fit. Thus according to RSS Muslims were snakes which are most of the times, if sighted, are killed. Sir, despite all such anti-national and anti-humanity acts/beliefs of Hedgewar you have declared him as “great son of Mother India”. If he was so then who was Gandhi ji who opposed RSS and was killed by the Hindutva assassins who like RSS called themselves as Hindu nationalists. The fact is that either Gandhiji or your newly found favourite Hedgewar can be “great son of Mother India”. Please withdraw your character certificate to this Hindutva zealot who stood against everything which democratic-secular India dreamt and fought for. I am sorry to write that you have denigrated Mother India and it depends on you how to restore its dignity. [i] N. H. Palkar (ed. ), Dr.. Hedgewar Patr-Roop Vayakti Darshan [Selection of Hedgewar’s letters, Hindi edition] (Indore: Archana Prakashan, 1989), 18. [ii] H. V. Seshadri (ed. ), Dr.. Hedgewar, the Epoch-Maker: A Biography, 61. [iii] H. V. Pingle (ed. ), Smritikan: Param Pujiye Dr.. Hedgewar Ke Jeewan Kee Vibhin Gahtnaon Ka Sankalan [in Hindi a collection of incidents in the life of Dr.. Hedgewar] (Nagpur: RSS Prakashan Vibhag, 1962), 93. [iv] C. P. Bhishikar, Keshav Sangh Nirmata (Delhi: Suruchi, 1980), 7, cited in Tapan Basu and others, Khaki Shorts Saffron Flags: A critique of the Hindu Right (Delhi: Orient Longman, 1993), 14. [v] H. V. Seshadri (ed. ), Dr.. Hedgewar, the Epoch-Maker: A Biography (Bangalore: Sahitya Sindhu, 1981), 71. [vii] H. V. Pingle (ed. ), Smritikan-Param Pujiye Dr.. Hedgewar Ke Jeewan Kee Vibhin Gahtnaon Ka Sankalan [in Hindi a collection of incidents in the life of Dr.. Hedgewar], 66-67. [ix] C. P. Bhishikar, Sangh-viraksh Ke Beej: Dr.. Keshav Rao Hedgewar [in Hindi] (Delhi: Suruchi Prakashan, 1994), 24. Gahtnaon Ka Sankalan [in Hindi: a collection of incidents in the life of Dr..Hedgewar] (Nagpur: RSS Prakashan Vibhag, 1962), 43. [xi] H. V. Seshadri (ed. ), Dr.. Hedgewar, the Epoch-Maker A Biography, 119. Great eye opener article. Ex president is eight uninformed of all this or is inclined to RSS in the heart of his heart. Hey you, Shamsul Islam, come to daily shakha and camps of RSS. I openly invite you and see the culture. All inclusive and no discrimination of any kind. Whatever impression you carry about RSS is unfortunately wrong,malafied and prejudiced. Take ”communist” out from your mind see this world as a neutral person. Kesh No need to go to the RSS camp, everyone knows that the RSS planned riots between the two communities just to make this country Hindu Rastra. and if this is wrong then try to speak with facts, The writer gave detailed summary of Hedgewar then you have to make it wrong with fact. Please do not divert the issue though Rao Marx has appropriately responded to your lies about shakha. I have observed these anti-national gatherings for last many decades. Will you tell us what PRAYER & OATH you take in RSS? At present we are discussing shocking details as made public by RSS publications of the criminal/anti-national deeds of Hedgewar. What is your take on his? If you believe these are fake I invite you to file a defamation case. Indian nationalism was always Hindu nationalism. The Indian National Congress was the aberration, not the norm. I do not blame India for choosing Hinduism over secularism. But was the violence necessary – the breaking of the Babri mosque? If the BJP hadn’t broken the mosque, they would never have been able to come into the political limelight. This is democracy at work. He has squandered opportunity to attack false prejudice and pseudo – national propaganda of rss and hindutva forces. He fell in the trap cleverly laid down by the bjp led forces to uplift their sagging and declining popularity.